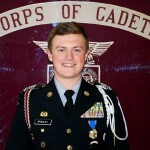 May 22, 2015: Congratulations to the following St. Peter’s Alumni who have been selected to lead the Benedictine Military School JROTC Corps of Cadets for the 2015-2016 School Year. These are the top three leaders of the Brigade Command Group. 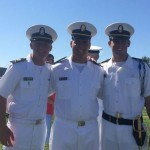 Brigade Commander – Will Bradley, Brigade Chief of Staff (XO) – Evan Sell, 1S Battalion Commander – Nate Hickey. 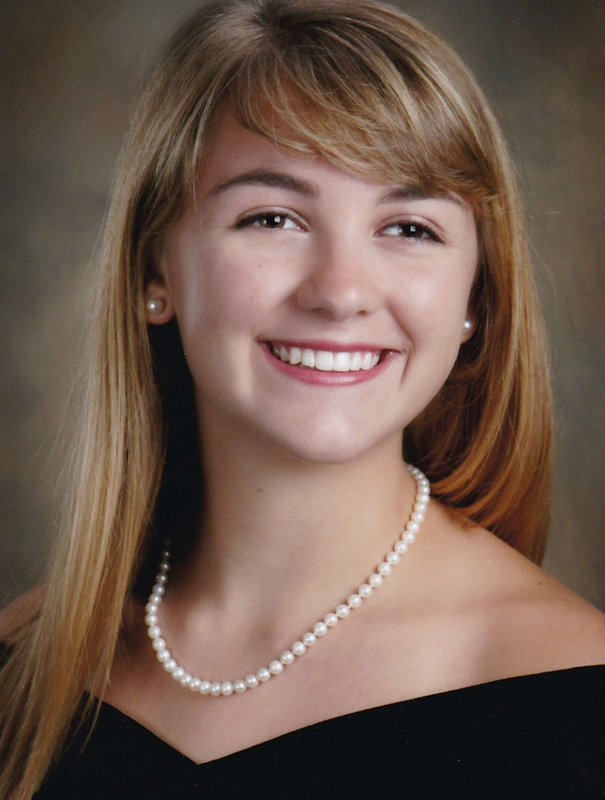 May 20, 2015: St. Peter the Apostle 2011 graduate Maddie Loftin has been named the 2015 Valedictorian of St. Vincent’s Academy! 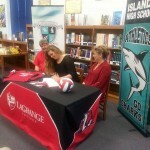 Congratulations Maddie, we are so proud of you! Maddie will be attending the University of Notre Dame in the fall. 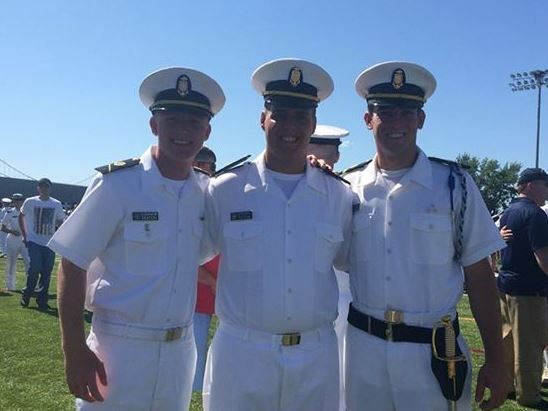 May 15, 2015: Congratulations to the following St. Peter’s Alumni who were elected to lead the Benedictine Military School Student Council for the 2015-2016 School Year: Will Bradley – Vice President, Chaplain – Nate Hickey, Public Relations Director – Evan Sell. May 7, 2015: Congratulations to St. Peter’s Alumnae who were elected to lead the St. Vincent’s Academy Student Council for the 2015-2016 School Year: Kiki Rodriquez – President and Shannon Ireland – Vice President. 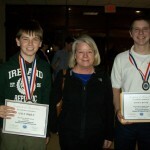 March 28, 2015: St. Peter’s seventh graders, Bowden Young and Sean Ryan, participated in the Georgia Science and Engineering Fair State Finals in Athens, GA on March 26th – 28th. 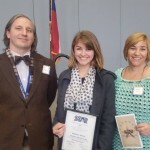 Out of 300 Middle School students in Georgia, Bowden received a Fourth Honors Award for his project in Physics & Astronomy! The boys represented our school beautifully and we are extremely proud of both of you. 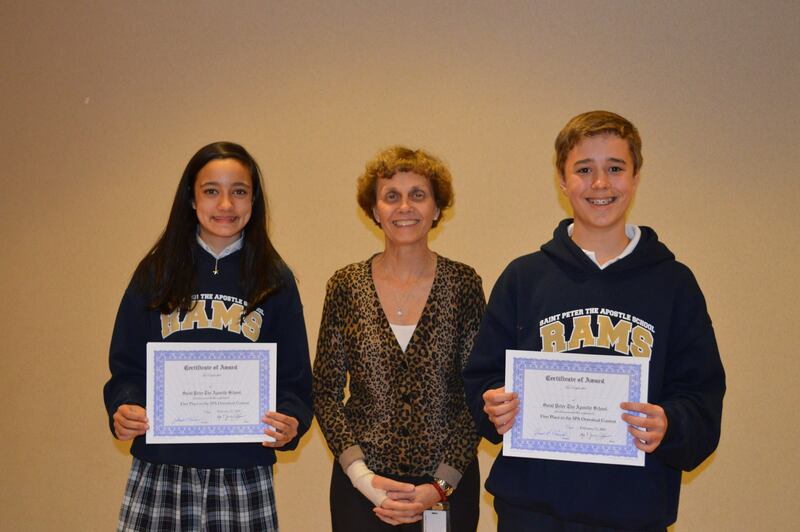 March 14, 2015: St. Peter’s own Bryant Randall and Kayla MacLeod participated in the Southside Optimist Club Oratorical Competition. Bryant won first place and Kayla came in second! The title of the 2015 speech was “How My Optimism Will Help Me Press on to Greater Achievements in the Future”. Bryant will head to the state competition on May 2, 2015 in Peachtree City, GA. We are so very proud of you Bryant and Kayla! GO RAMS! 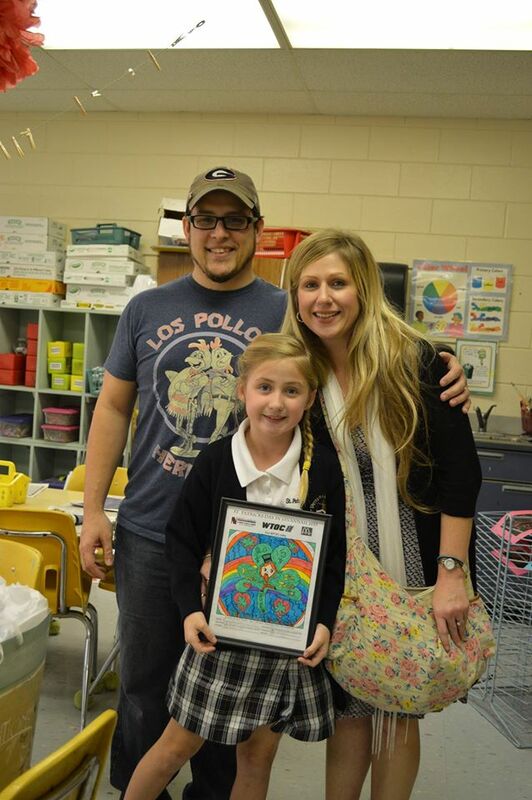 March 4, 2015: Out of over 900 entries, our own darling Anna Culjan won the WTOC St. Patrick’s Day Drawing Contest! 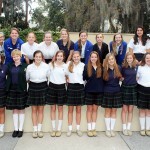 Anna will have the honor of “Greening the Fountain” at Forsyth Park on March 13th with St. Peter’s parishioner, Grand Marshal Hugh E. Coleman! Harris W. also placed 2nd in Division B and Caroline R. placed 3rd in the same division. We also had a winner in the 6th grade. Elizabeth B. placed 3rd in Division C. Congratulations! 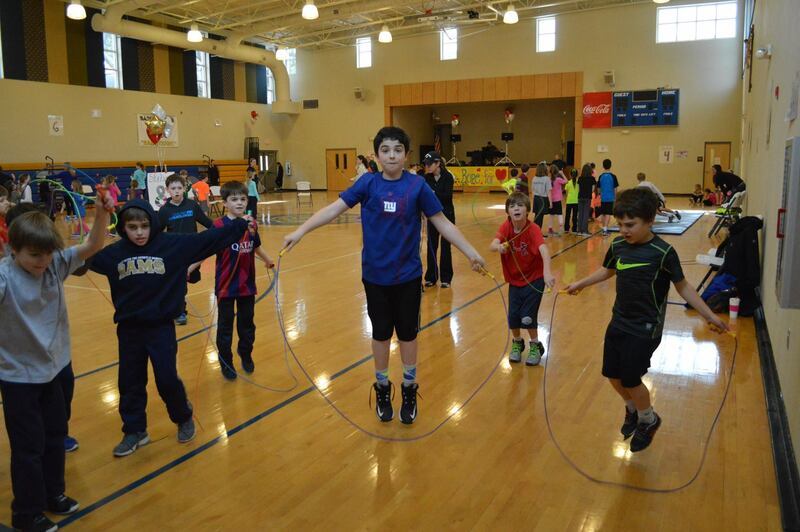 February 27, 2015: St. Peter the Apostle celebrated Jump Rope for Heart on Friday, February 27th. 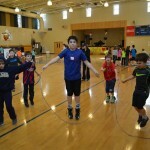 Together they generated over $7,100 for the American Heart Association and had a blast doing it! Thank you to all for organizing and volunteering for the event! 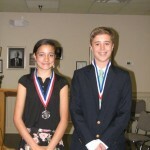 February 18, 2015: Kayla Macleod and Bryant Randall qualified for the Southside Optimist Club Oratorical Competition which will be held on March 14, 2015. 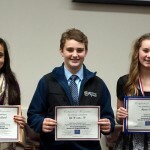 Thursday, February 12, 2015: The SSU Regional Science Fair Awards Ceremony was held on Thursday, February 12, 2015. The following awards were given: Sean Ryan: 3rd Place for his project “Which metal corrodes the fastest? Aluminum or Stainless Steel. 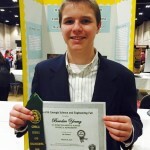 Moves on to the state science fair. Bowden Young: 2nd Place for his project “What brand of paper towel can hold the most water without dripping?” Moves on to the state science fair! Congratulations! 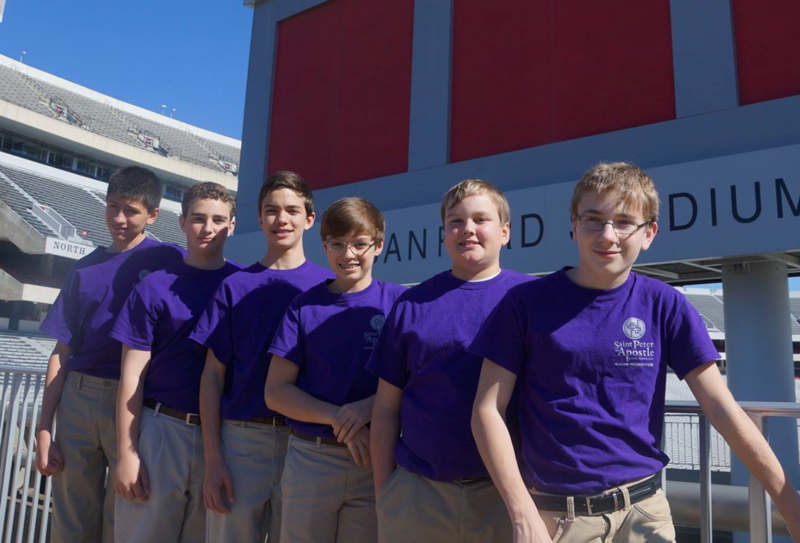 February 7, 2015: The St. Peter’s Robotics Team won the award for Best Robot Programming/7th Grade Level at the State Robotics Championship. The competition was held at the University of Georgia. 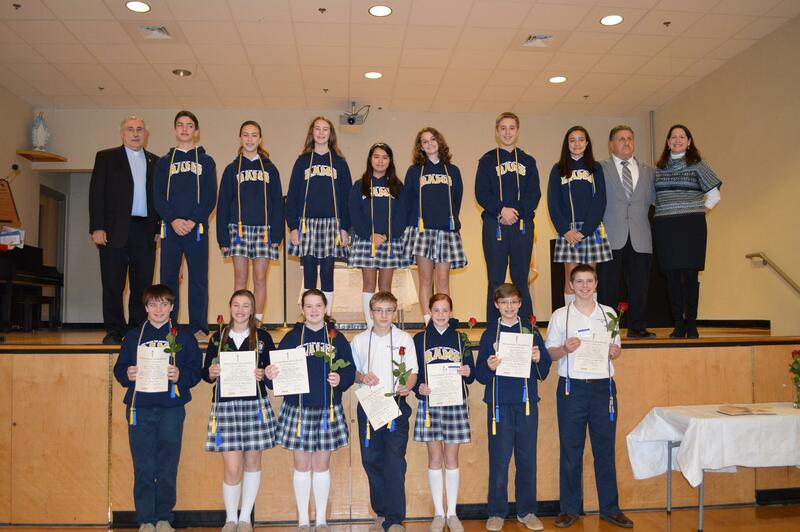 January 28, 2015: Seven of our wonderful seventh graders were inducted into the National Junior Honor Society at St. Peter the Apostle School. Congratulations students! January 19, 2015: WISHING for WELLS Two years and $11,297.69 ago, our current 8th grade class began a project with hopes to have it completed by their Confirmation the week of November 20, 2014. They did it! With Mrs. Ducey’s guidance, the class chose a charity called “Charity: Water”, this is an organization that builds wells for communities around the world to have clean, safe drinking water. 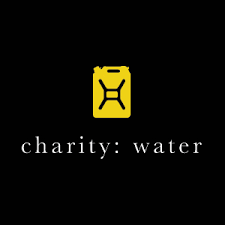 The class was able to raise $11,297.69 and the well is almost finished! Please view the website HERE. December 17, 2015: Today, Ben Wood won the National Geographic Geography Bee. The next step is for Ben to take the National Geographic Geography Exam. Good luck Ben, we can’t wait to see how it goes! 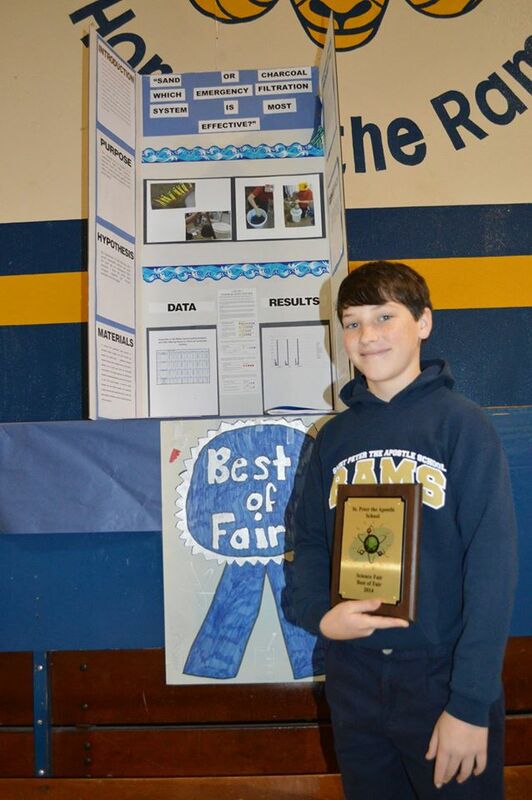 December 9, 2015: Ryan S. Wins the 2014 St. Peter the Apostle Science Fair! 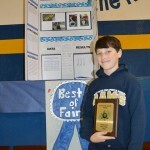 Ryan, along with 8 other St. Peter’s 7th graders, will be taking their projects to the State Competition. Way to go Rams! 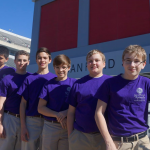 December 6, 2014: St. Peter’s Robotics Team wins First Place! 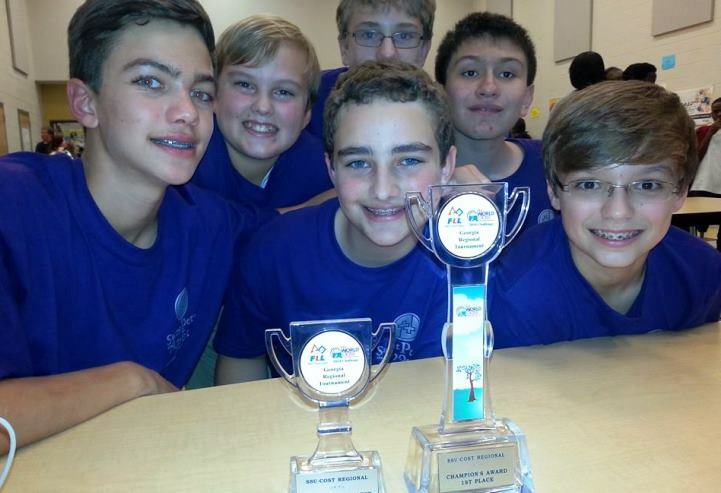 The St. Peter the Apostle Robotics Team took First Place in today’s Regional Qualifier! 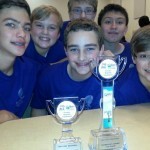 The “RoboRams” won Best Robot Performance AND Champions Award in the Competition today! That makes Back to Back Championships for the Rams! We’ll let you know when and where the state competition will be. Thank you Mrs. Wood, Mrs Fernandez, Mr. Hrabie and Sam! 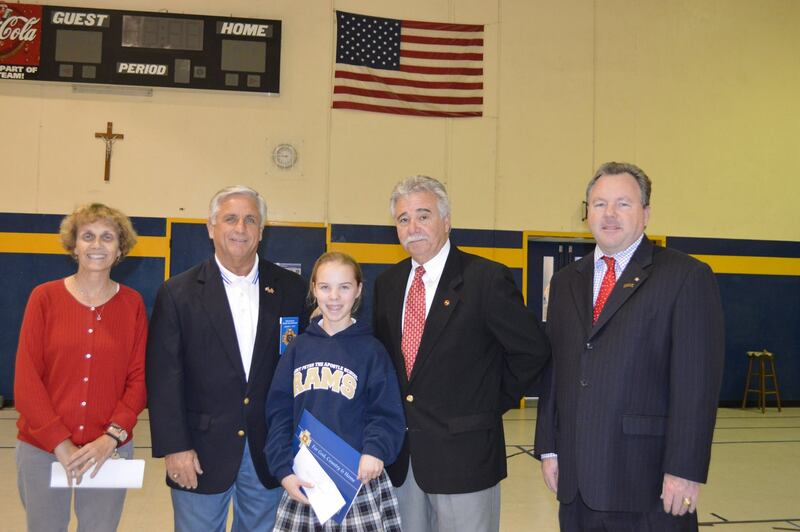 December 3, 2014: Congratulations to Anya S. for receiving the Catholic War Veteran’s first place award for your winning essay: “What is a Veteran?”. We are so proud of you! 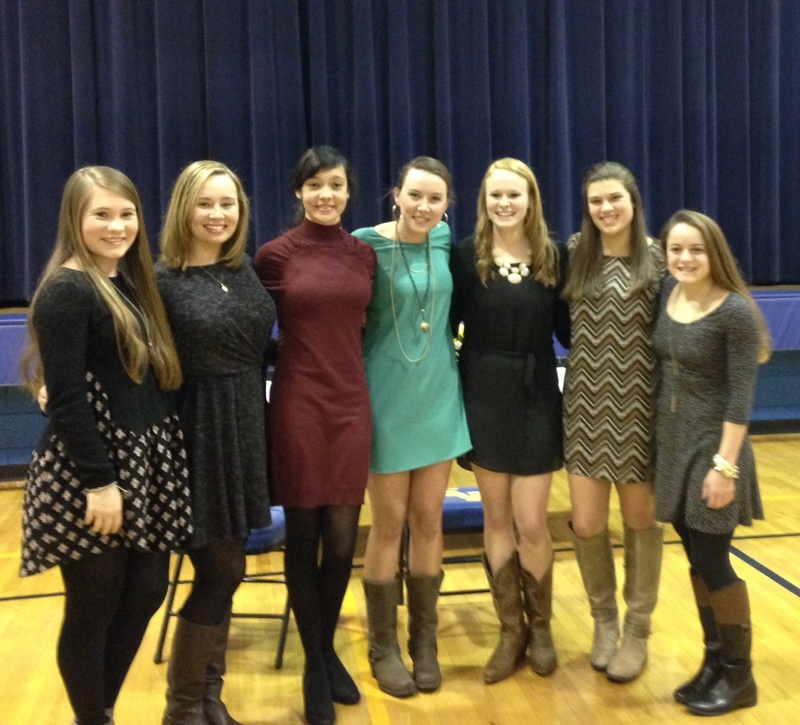 November 7, 2014: SPA Recent Grads Receive Academic Honors at SVA. Good news for St. Peter the Apostle! 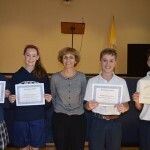 According to St. Vincent’s Academy Principal Mary Ann Hogan – of the 21 students in the 9th grade who graduated from St. Peter – 62% made Excellence Honor Roll and 36% made 1st or 2nd Honors! Way to go SPA Grads! Terra Nova scores are in and it’s great news for SPA! 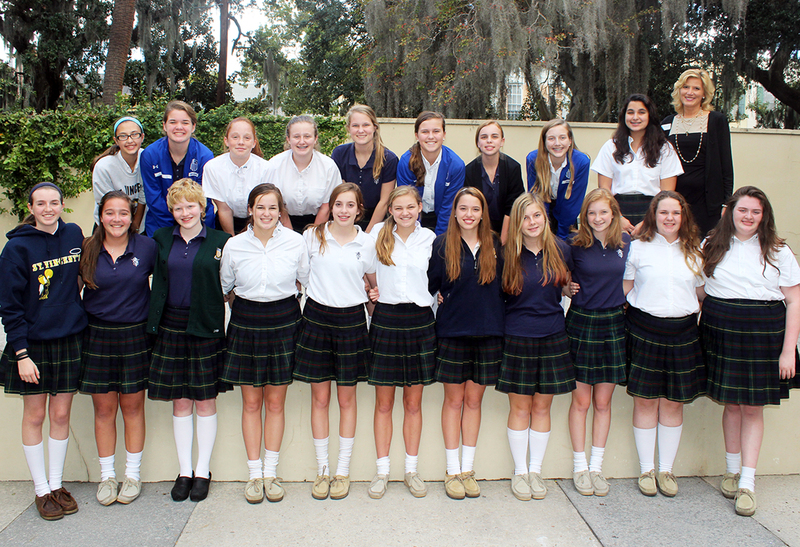 Rams Win 2014 City Golf Championship: Congratulations to the St. Peter the Apostle Golf Team on winning the Girls Savannah City Championship and finishing 2nd in the Team Division. The Tournament was held on May 11, 2014 at Bacon Park, the Cypress Course. 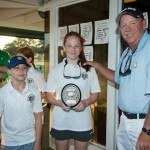 St. Peter’s 8th grader Rin Richardson was the Savannah Middle School Golf League Girls Medalist (champion) with a score of 45 on nine holes. 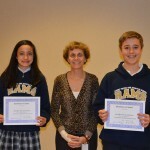 2014 Regional Science & Engineering Fair Winners: Three SPA students won three 1st Place awards at the Savannah Regional Science and Engineering Fair in February 2014. Marie Ducey took the prize in the “Microbiology” category. Kayla MacLeod topped 11 other projects to win the “Engineering- Materials & Bioengineering” category, and Gil Werntz finished ahead of 12 other projects to win the “Engineering- Electrical & Mechanical” category. Ducey’s project was judged “Best in Fair” in a field which included well over 100 projects! What a fantastic effort by Mrs. Boyles and her students! Go Rams! 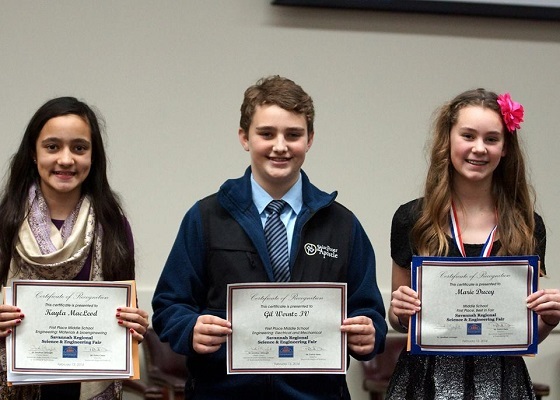 2014 First Place Oratorical Contest Winners: Our annual Oratorical Contest was held in February. 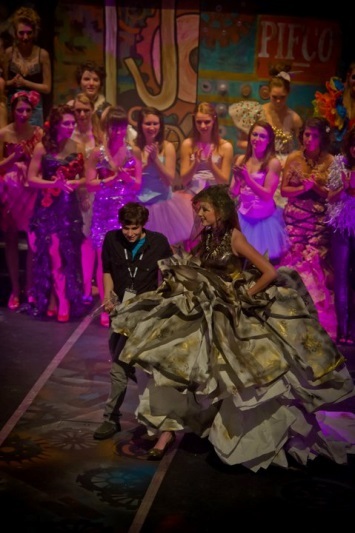 Five 7th graders and five 8th graders participated. We would like to congratulate our 1st place winners Marie Ducey and Bryant Randall. We would also like to congratulate our runner’s up Dylan Herb and Ben Wood. Huge thanks go out to Mrs. Newton, the Oratorical Contest Moderator and to Mrs. Fonseca for helping prepare the students for the contest. 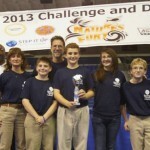 2013 Robotics Team First Place Winners: Congratulations to The St Peter the Apostle “RoboRams”! 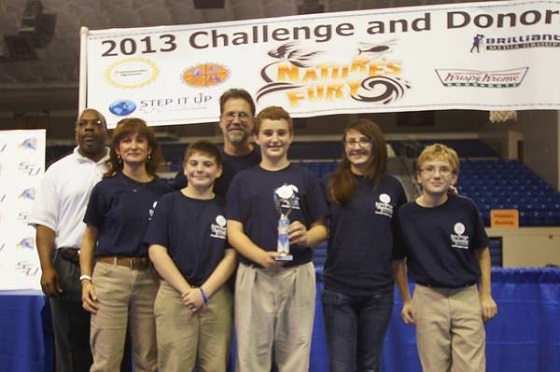 Our Robotics team came away with the First Place trophy at the 2013 First Lego League Robotics Qualifier! Way to go Rams! 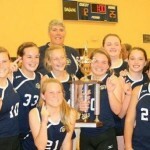 2013 Volleyball Savannah Parochial Athletic League Champions: Not only did our Lady Rams win the title last season, but they also brought home the 1st place trophy in 2011, 2012 and 2013! 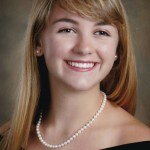 March 13, 2015: Congratulations to St. Peter the Apostle 2011 Graduate Bonny Woods! 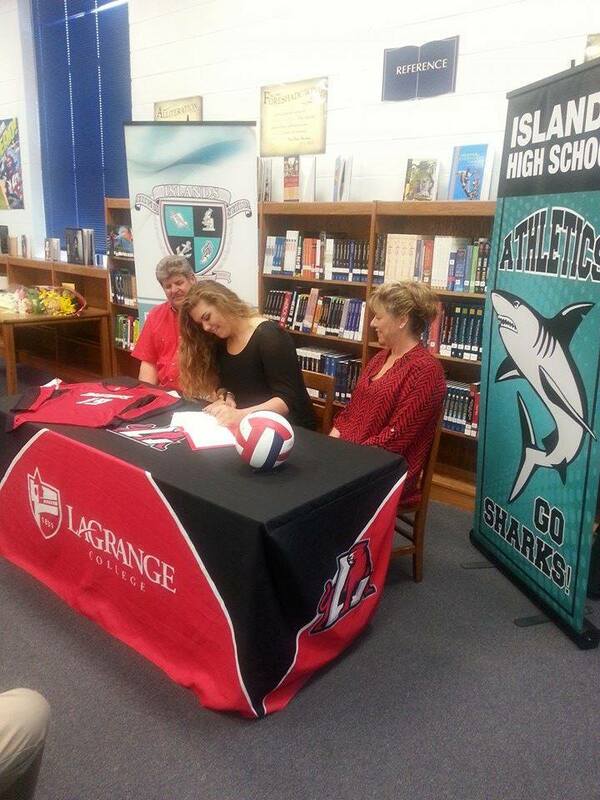 Bonny has signed a National Letter of Intent to play volleyball at Lagrange college! February 25, 2015: St. Peter’s would like to congratulate the eight members of our Class of 2012 who were inducted into the National Honor Society at St. Vincent’s Academy! Congratulations Shannon Ireland, Ellie Randall, Raina MacLeod, Mary Margaret McCarthy, Mary Catherine Tison, Rachel Watson, Sara Kathryn Boyles and Maddie Powers (not pictured). 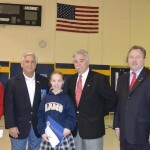 February 24, 2015: Congratulations to Maddie Loftin, the St. Vincent’s Academy STAR Student! 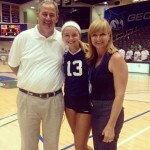 Maddie is a 2011 graduate of St. Peter the Apostle Catholic School. We are so very proud of you! February 11, 2015: We are proud of our RAM hero BJ Ganem, class of 1991. We are proud of his service in Iraq, but even more proud of his service to his fellow vets since his return. 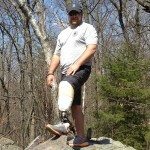 BJ is making a great positive difference in the lives of vets all over the country. Please read about his service HERE. 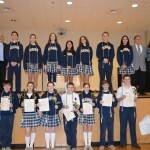 January 2015: 26 St. Peter’s Graduates were placed on the Excellence Honor Rolls (Highest honor roll level) at both St. Vincent’s Academy and Benedictine Military School. 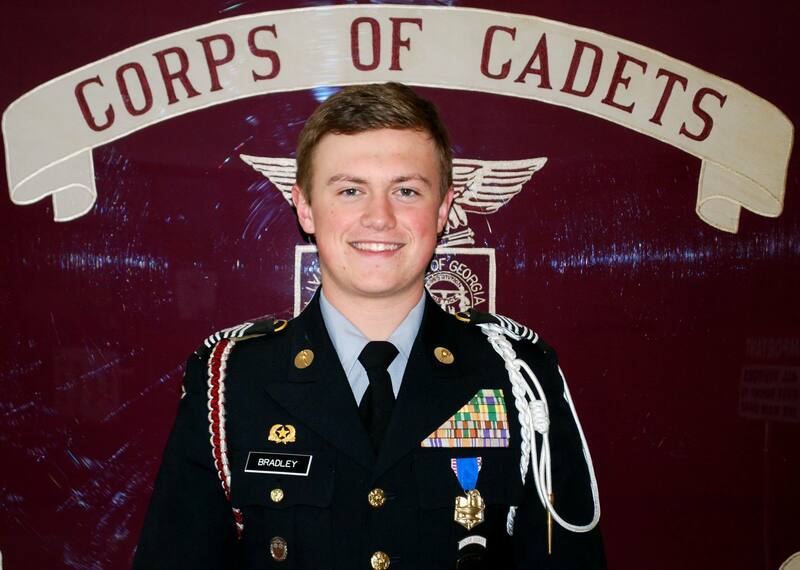 January 2015: The administration, faculty and staff at Benedictine Military School is excited to announce the selection of Will Bradley as BC’s Student of the Month (January 2015)! Will is an outstanding, all-around student, Cadet, leader and athlete who very willingly and tirelessly gives his time to his school and community. 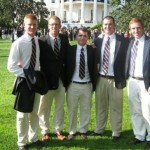 Will’s teachers describe him as studious, helpful, responsible, reliable and an excellent role model. 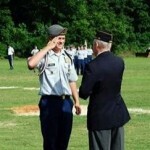 He is the highest-ranking junior in BC’s JROTC program as Brigade Command Sergeant Major. 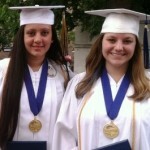 Women Who Lead The Valedictorian and Salutatorian for the Class of 2014 at St. Vincent’s Academy are both 2010 St. Peter the Apostle Graduates! 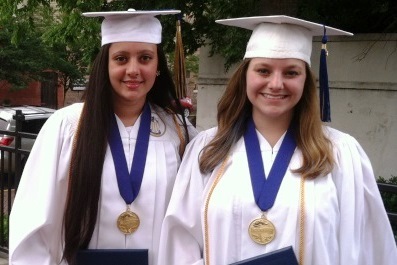 Valedictorian Niyati MacLeod and Salutatorian Bee Seginack are lovely young women who have always made us proud. 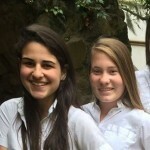 Niyati will be studying at The Georgia Institute of Technology and Bee will study at The University of Georgia. Well done ladies. 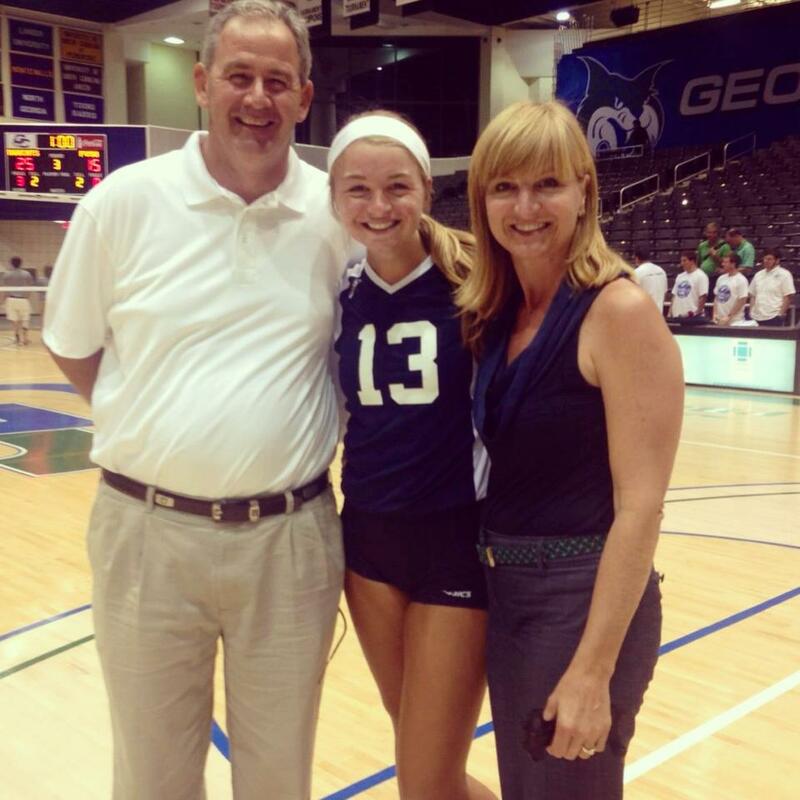 Congrats to Blake Willoughby, St. Peter the Apostle Class of 2009, on the beginning of another collegiate volleyball season with Georgia College and State University! Way to Go Blake! You always make us proud. Grant Flinn: 2008 SPA Graduate: 2012 Savannah Arts Academy Graduate, SCAD student accepted into the study aboard program in Lacoste France in industrial design at SCAD spring quarter of 2014. Brendan Gillins: 2003 SPA Graduate: Was accepted to MIT and Given a full ride academic and golf scholarship to Augusta State University, was on two time National Championship golf team and awarded a division 1 academic all American. 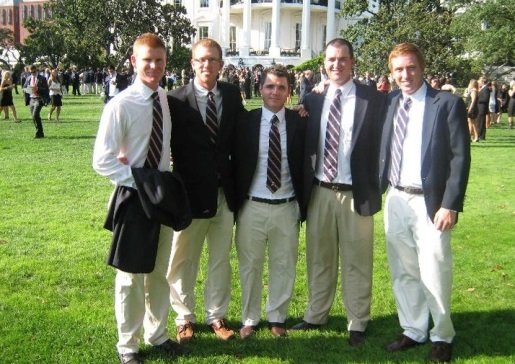 In photo below, Brendan is on the far right at the White House for National Championship award. 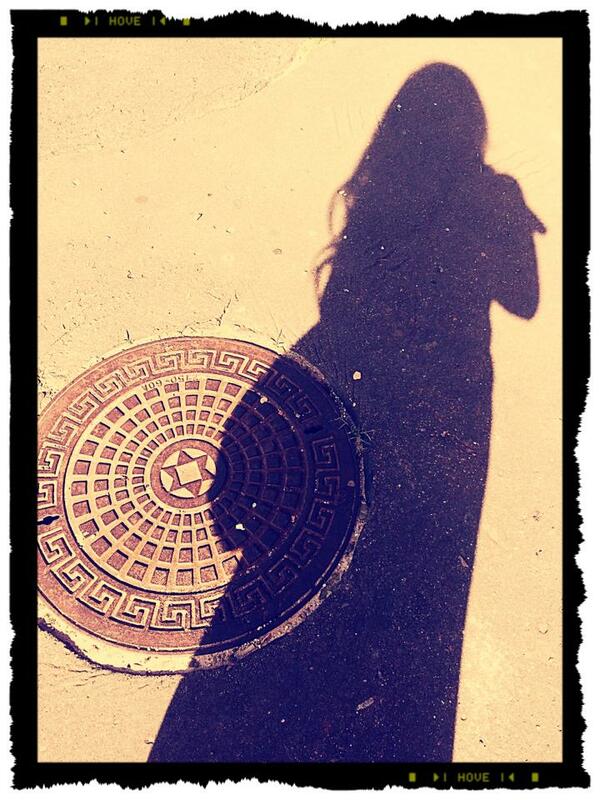 My name is Taylor Culjan, a graduate of St. Peter the Apostle in 1995 and SVA Class of 1999. This is my twelfth year teaching young adults, and my fifth year teaching at Saint Vincent’s Academy. I have previously taught at the public school districts of Wilkes, Chatham, and Bryan County Schools. 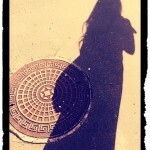 I am a graduate of University of Georgia with a Bachelor’s of Science and Master’s of Science in English Education. In August of 2013 I earned my Specialist’s degree in Educational Technology from Lesley University. 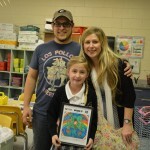 I live in Savannah with my husband, Bo, and our two daughters, Anna and Natalie, who are nine and three years old. This summer, I was granted the opportunity to travel to Eastern Europe through a program sponsored and organized by the Savannah Jewish Federation, the Matthew Cranman Memorial Fund, and The American Gathering of Jewish Holocaust Survivors & Their Descendants, where I visited a number of sites connected to the Holocaust, including the concentration camps of Auschwitz, Bełżec, Bergen-Belsen, Majdenek, Plaszow, Ravensbrück, Sachsenhausen, and Treblinka. As a Holocaust scholar and teacher of Holocaust literature, this was a trip of a lifetime for me. Although I had studied and taught about the Holocaust for many years, this summer was a pivotal moment for me both as an educator and individual. Not only did those 21 days strengthen my passion for teaching about the Holocaust and promoting social justice, but they proved to be a journey of personal growth and reflection. I plan to spend this school year and many more to come imparting my experience with my students at Saint Vincent’s.